On the 3rd of August 2018 Embark celebrated the opening of a new store at the Marino Mall in Colombo 03. The founder of the brand, Ms. Otara Gunewardene was present at the opening ceremony along with members of the Embark team and volunteers. The store features a wide range of branded products from t-shirts and slippers to soft toys and ornaments. 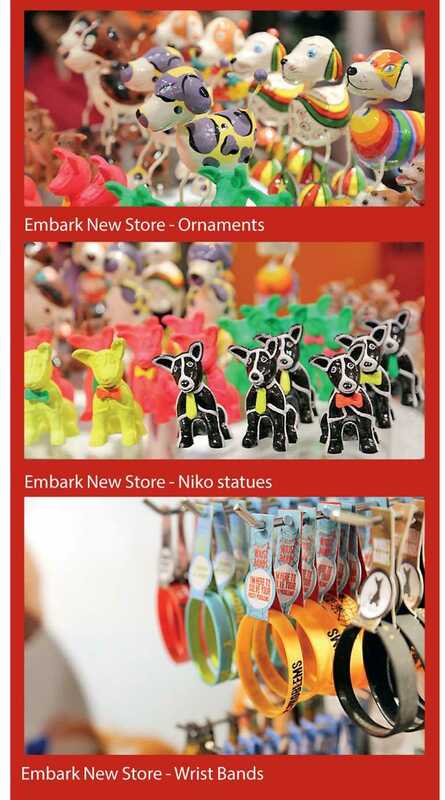 Pet toys, beds, accessories and grooming items in various sizes and styles can also be found at the new store. All profits from the stores go to the Embark animal welfare organization, which treats and rehomes needy stray dogs.